​Arsenal have sent another forward out on loan following the the temporary departure of Emilio Martinez to Spanish side Getafe. The ​Arsenal official website has confirmed that 19-year-old Gunners forward Stephy Mavididi has gone out on loan to Preston North End for a season. 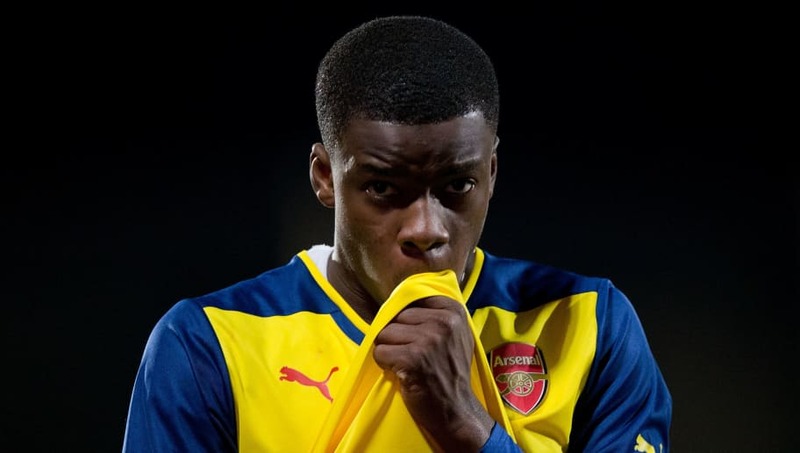 The statement on the website reads: "Young forward Stephy Mavididi has joined​ Preston North End on a season-long loan. "We'd like to wish Stephy well for his time with Alex Neil's side in the ​Championship." The young Englishman scored an impressive eight goals in 17 appearances for ​Arsenal's reserves last season before going out on loan to Charlton Athletic in the second half of the campaign. There, Mavididi gave an impressive performance in five appearances before an injury to his hamstring cut his loan move short. Now fully fit, Mavididi hopes to impress at Preston North End, with Preston boss Alex Neil expressing his delight about the new signing. "I think he'll bring pace and a directness from either a wider area or a central nine. He's one of the players that can fluctuate between any of the top four – he can play on either flank, he's played as a ten he's played as a nine," Neil told​ Preston North End's official website. Mavididi himself also expressed his delight of joining Preston North End for the year and cannot wait to meet his new team mates. He hopes his time at Deepdale will guide him down a path to achieve greater, showing the ambition he has playing as a forward. "I can't wait to get started and I can't wait to meet the lads and crack on – let's go and do good things this season," he told the club's official site. "I just want to put on that shirt and run out do well. I'm buzzing, I can't wait to get started now." Mavididi will wear the No. 27 shirt at Preston and is expected to make his debut against Accrington Stanley on 8 August in the English Football League Cup.